We understand that your dog has become a part of the family. We also know that you can’t predict when they will become sick or injured but there is a way to be prepared. The good news is that veterinary care is improving by the day through new veterinary science like MRIs and chemotherapy, allowing pets to live happier and healthier lives. This does, however, make veterinary care very expensive. Pet insurance can alleviate the increasing costs of veterinary bills so that you can focus on caring for your sick pup rather than your wallet. Routine wellness care is not covered by most insurance policies but can sometimes be added on depending on the insurance provider. Our Wellness Plan information page can give you additional details. How Much Will the Plan Cost? 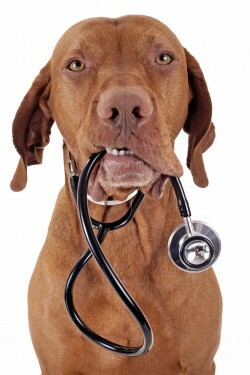 Pet insurance prices vary with each provider and are typically based upon your dog’s breed, age, and location. Most providers will also allow you to customize the parts of the plan that affect your monthly payment, such as the annual deductible. This way, you can make the plan fit your budget and lifestyle. Insurance companies will often offer discounts if you are insuring more than one pet, paying annually rather than monthly and if your pet is spayed or neutered. Find out more by requesting a free quote for your pet today.